July 23, 2010  An information vacuum in the investigation of the deadly mine disaster in West Virginia in April has mine owner Massey Energy suggesting possible causes of the explosion. The latest involves a massive infusion of methane gas before the blast. July 22, 2010  In twin assaults Thursday, both Massey Energy and CEO Don Blankenship suggested that an "overwhelming" rush of methane gas may have been the cause of a deadly April 5 explosion at Massey's Upper Big Branch mine in West Virginia. Mine safety officials are skeptical. July 22, 2010  Massey Energy CEO Don Blankenship spoke at the National Press Club in Washington on Thursday as his company floated a new theory for the cause of the April 5th explosion that killed 29 mine workers. The theory appears to be the latest attempt by the company to deflect criticism of its own safety practices. July 16, 2010  NPR News has learned that a February incident in which a mining machine's methane detector was deliberately disabled was not an isolated incident at the Upper Big Branch coal mine in West Virginia. Miners who worked in the mine say the practice was relatively common and was justified with false descriptions of mining regulations. A methane explosion in April killed 29 workers. July 15, 2010  Two months before the explosion in April killed 29 mine workers, three witnesses say an electrician was ordered to disable a methane detector, an NPR News investigation finds. Working without an operational methane monitor is dangerous and potentially illegal. June 11, 2010  Federal administrative law Judge L. Zane Gill ruled that there is "substantial evidence to support a reasonable cause to believe" that Ricky Lee Campbell's repeated complaints about dangerous safety problems at another Massey mine prompted his termination. 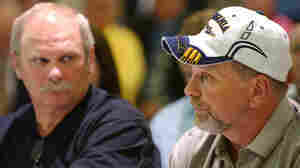 June 7, 2010  Ricky Lee Campbell has filed a federal whistle-blower complaint in which he says he was fired for objecting to conditions at two Massey Energy mines in West Virginia. One of the mines was the Upper Big Branch, where an explosion killed 29 workers in April. June 2, 2010  Two teams completed the first exploration of the Upper Big Branch coal mine Wednesday after being forced to retreat temporarily when monitors indicated the presence of toxic and explosive gases. 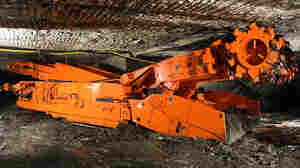 It was the first attempt to re-enter the mine in nearly two months. Once the mine is declared safe, investigators will try to determine the cause of the April 5 blast. June 1, 2010  The mine-rescue specialists from state and federal mine safety agencies, and from mine owner Massey Energy, will go into the mine Wednesday morning. They are anxious to scrutinize the mine for causes of the deadly explosion that killed 29 people. May 17, 2010  Miners from the Upper Big Branch mine in West Virginia tell NPR about persistent problems with airflow before a massive and deadly explosion on April 5. An NPR News investigation has also found that an FBI criminal probe is looking into possible tampering with the mine's safety monitors that detect methane gas. April 30, 2010  The FBI is investigating the circumstances surrounding the coal mine blast in West Virginia that killed 29 miners. Sources say the FBI is looking into potential criminal negligence on the part of Massey Energy, the owner of the Upper Big Branch coal mine. Sources also say the probe involves allegations of bribery involving the federal Mine Safety and Health Administration. A Department of Justice spokeswoman denies the mine safety agency is part of the investigation, however.